Descriptive narrative and attractive visuals explain how your firm can advocate and resolve legal issues. 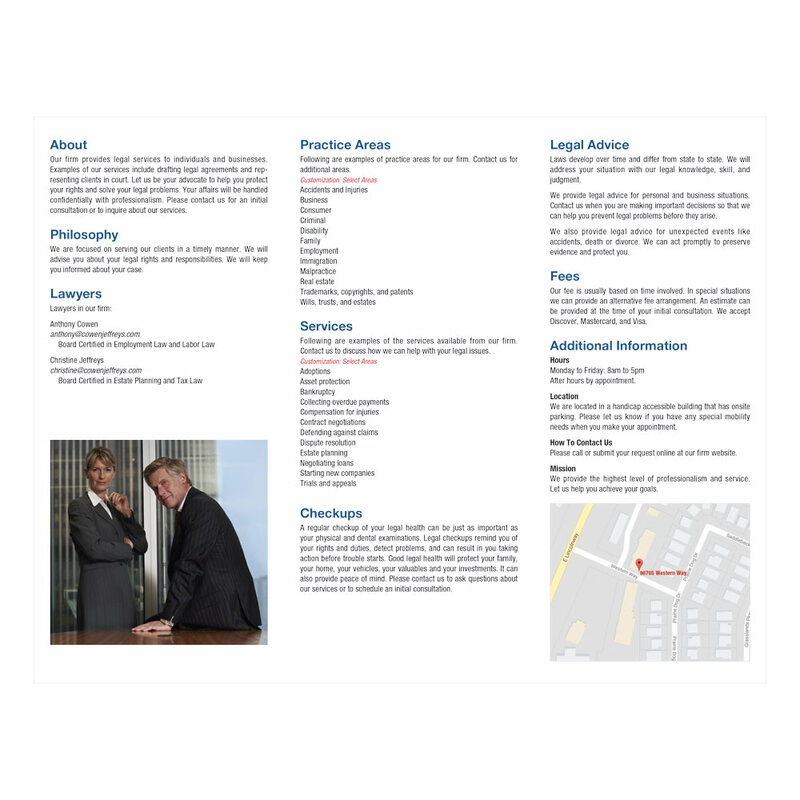 A clearly written, visually appealing brochure puts into the hands and minds of prospective and current clients a detailed, tangible image of your firm. 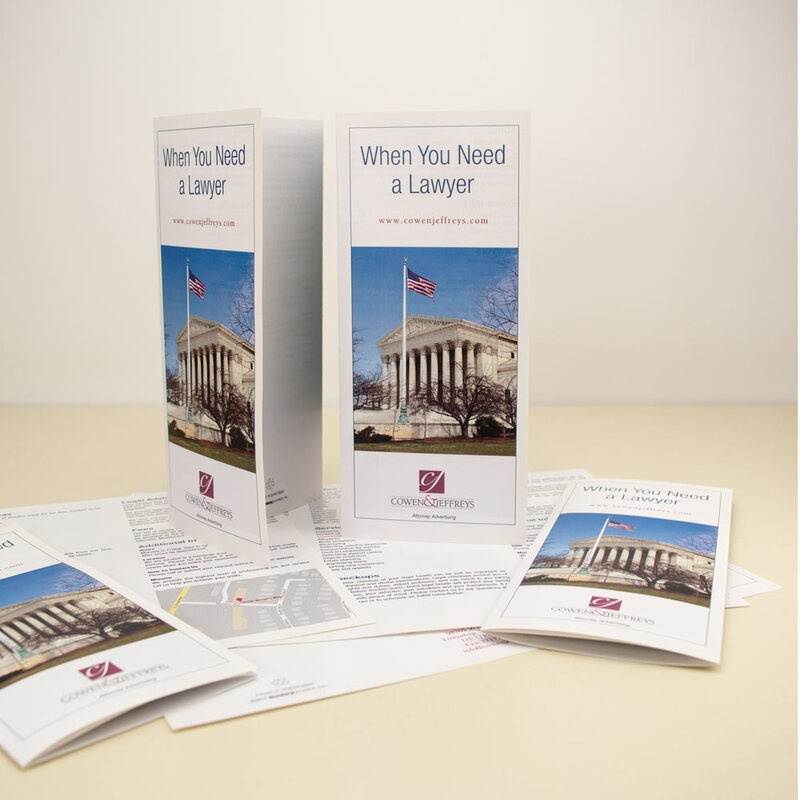 Our tri-fold brochures can welcome clients to your firm in a way that instills confidence in your professionalism and expertise while summing up how your firm can improve things for their businesses and families—and putting your contact information at their fingertips. These professionally designed brochures are a cost-effective way to attract new clients and develop additional business from existing clients. Display in your waiting area and use as handouts, takeaways, and mailings. Customize with your list of practice areas, services, and contact information. Attractive and professionally written. 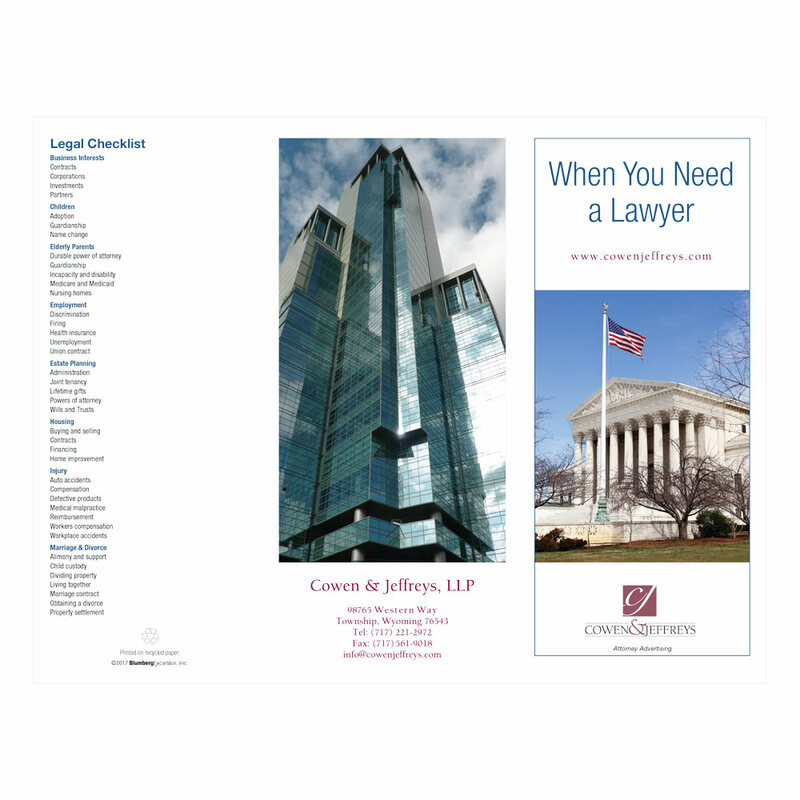 Letter size tri-fold pamphlet in full color digital print 100 lb. Gloss Text stock. Send to clients, prospects and referral sources. Display in your reception area. Hand out at meetings, speeches, and seminars. Include with materials given to new clients.